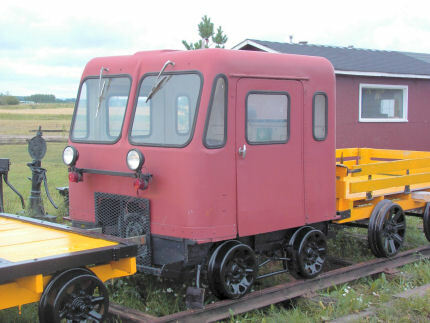 This car and some flat trailers were on the tracks. 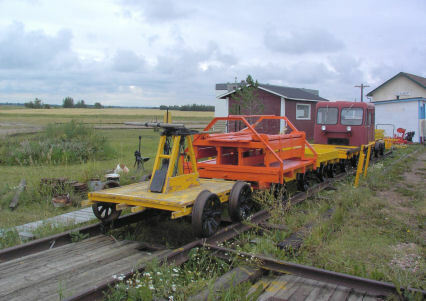 Also on the tracks but as with the previous speeder no info was available. 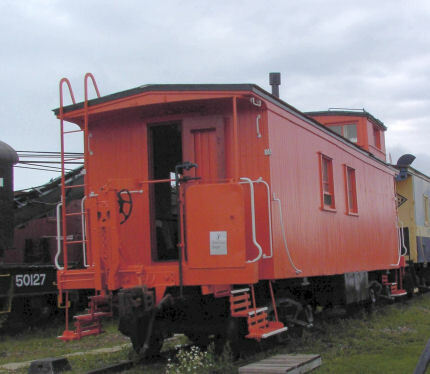 Caboose 78185 was built in 1929 in the CNR Transcona Car Shops and restored to original condition in 1987. 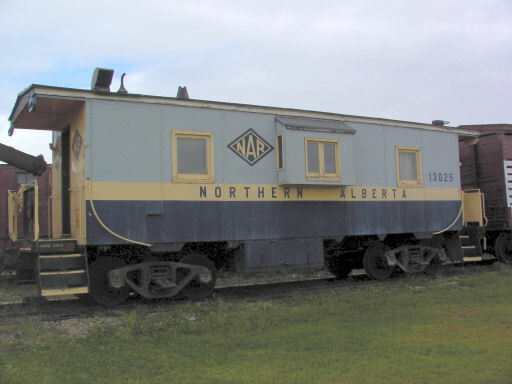 Caboose 13025 was built by the Canadian Car & Foundry Company in 1953. 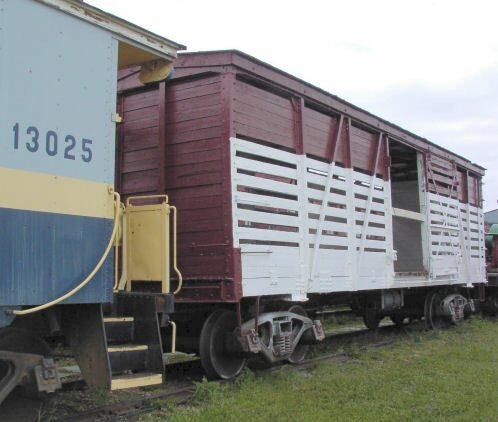 This car was built in 1911 for the Grand Trunk Railway to haul livestock. I was unable to locate any information on this car. 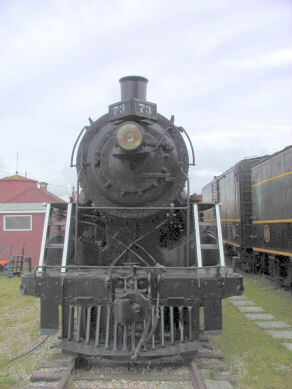 Loco 73 is a 2-8-0 built in1927 by the Canadian Locomotive Co. Loco 73 operated in freight and passenger service until retirement in 1960. 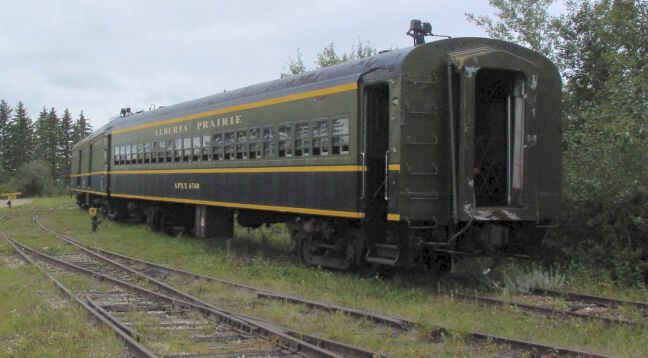 This is a GM NW2 diesel electric built in 1946 with 1000 HP. It weighs 125 tons. 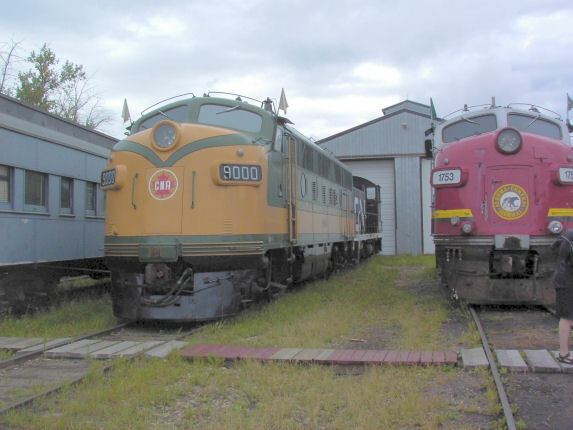 Number 9000 is a GM F3 built in 1948. 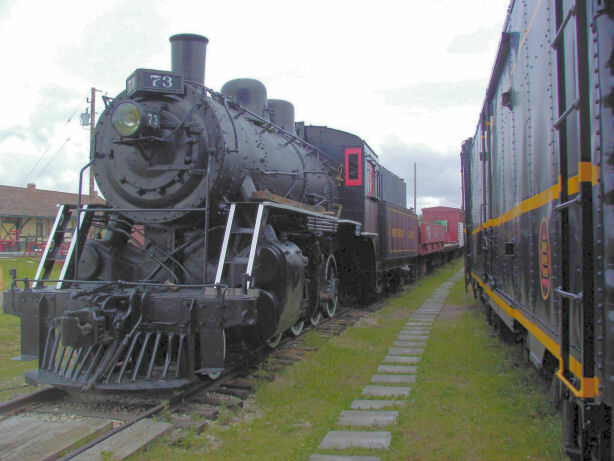 It was the first production road freight locomotive built for a Canadian Railway. 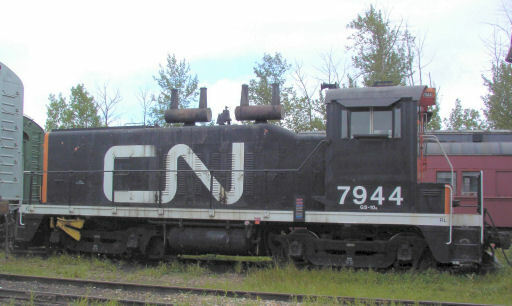 Number 1753 is a GM F9 built for CN in London Ontario and originally numbered 6514. 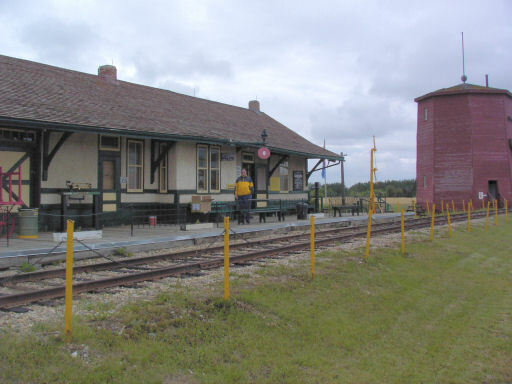 The St Albert station was built in 1909 and moved to the museum in 1973. The Gibbons water tower in 1919 and moved in 1984. 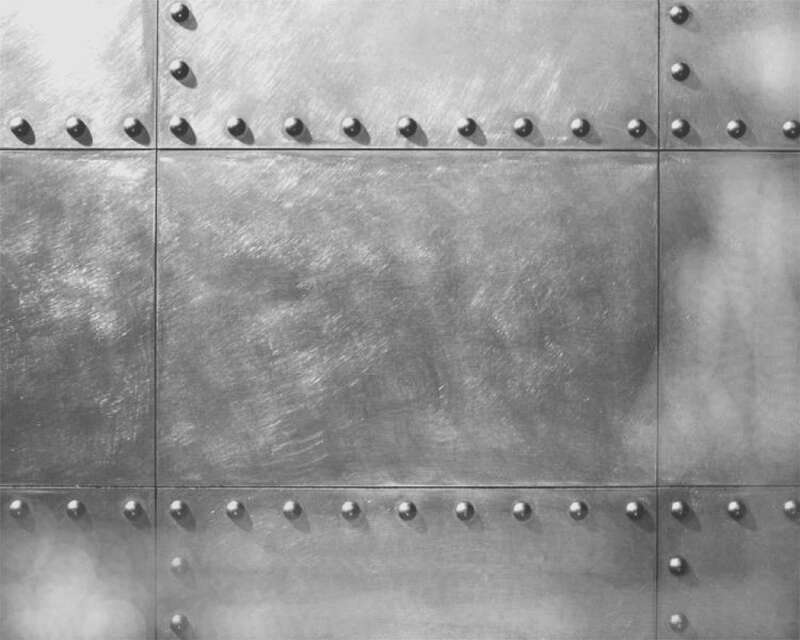 The exterior shell was made to protect the tank from the elements. Many other buildings and shops are on the museum grounds.